Once again the calm green pastures of Woodville are being transformed. Each year the land must be cleared, grass mulched, weeds slashed , grass mown, waratahs banged in, safety netting strung and, the biggest job of all, more than 700 directional pegs "doofered" in - all in preparation for the annual International Motocross NZ Grand prix. 2014 is the 53rd time this now iconic unique event has been held and the community pitches in to welcome the over 500 riders who compete. A couple of pictures have circulated following Monday's earthquake in the region but organizers assure that there's no real damage, that the track will be fantastic as usual and that good weather will be in attendance. 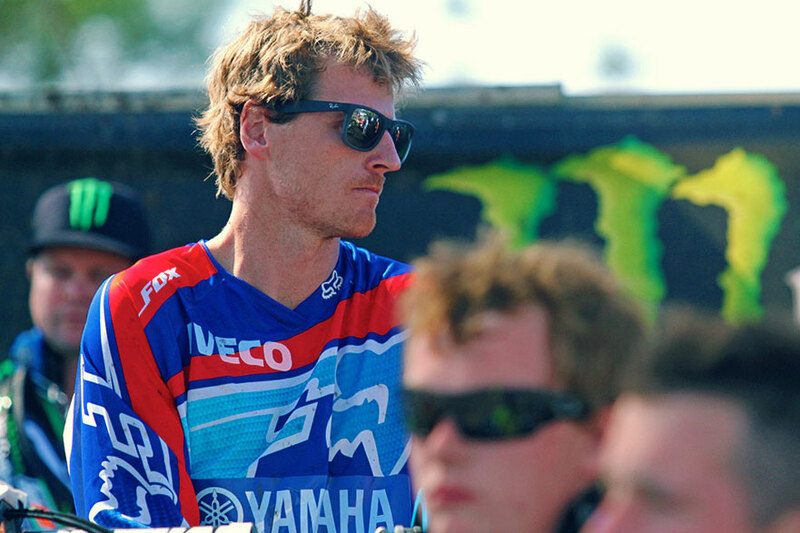 Click here for an overview of the 2013 Woodville MX GP. If you are interested in Woodville history and past events. Rotorua’s Michael Phillips would like nothing better than to satisfy his sponsors, thrill his many fans and realise a life-long dream and he can do all three things next weekend if he wins the Honda New Zealand Motocross Grand Prix at Woodville. The only trouble is, the two-time former New Zealand champion is going to have to muscle his way past the title favourite, fellow Honda star and reigning national MX1 champion Cody Cooper, as well as dozens of other fire-breathing superstars among the more than 500 entrants, many of them arriving from overseas for the January 25-26 event. This year celebrating its 53rd birthday, the big annual event has grown from humble beginnings in 1961 - the brainchild of former Grand Prix motocross ace and international enduro racer Tim Gibbes, of Palmerston North - to now rate as one of the biggest stand-alone motocross events in the Southern Hemisphere. The Honda-sponsored two-day race meeting, set for the same familiar farmland track at the eastern end of the Manawatu Gorge that has hosted the racing every year since the inaugural running, has again enticed high-class entries the length and breadth of the country and also drawn in an impressive line-up of international stars. With riders arriving from Australia, Britain, Japan, and New Caledonia, Phillips’ mission to win the main Woodville trophy has perhaps never been tougher, but it will probably be Kiwi rivals such as Cooper, Taupo’s Brad Groombridge (Suzuki RM-Z450) and Christchurch’s former national MX1 champion and 2010 Woodville winner Justin McDonald (Honda CRF450) who will rate among his biggest threats. Waitakere’s former national 125cc champion Ethan Martens (now on a 450cc Yamaha and racing in the MX1 class) and Paraparaumu’s Jesse Donnelly (Kawasaki KX450F) have displayed exceptional form in recent months and they are also highly fancied this weekend. Phillips’ build-up to this year’s edition of Woodville has been going well. The 27-year-old finished a close runner-up to Groombridge at last weekend’s big King of the Mountain Motocross in Taranaki, so he knows he’s on the pace, despite the fact that, before last weekend, he had not raced much at all since about June last year. "I’ve won at Woodville a couple of times in the MX2 (250cc) class, but never on the big bike," he said. "To win the MX1 class and the feature race at Woodville would be a dream come true. It’s one of New Zealand’s premier titles. "It’s doubly important for me to do well at Woodville this weekend because I need to try and impress a few race team bosses from Australia. I don’t have a ride in Australian yet for 2014 and I need to put on a good show this weekend." Racing extends over two days and caters for all ages and abilities and all bike sizes and types, with juniors and minis in action on Saturday and the seniors, women and veterans on the track on Sunday. Woodville GP – Townley racing!! This weekend provides one of the first hit-outs of the year for a number of Aussie and Kiwi racers, with the prestigious Woodville Grand Prix going down in New Zealand’s North Island. The Woodville GP is a cracker two-day event. I used to regularly make the trip down to the tiny settlement to watch the likes of a 16-year-old Chad Reed go up against the three King brothers, Darryll, Shayne and Damien and (a much younger) Josh Coppins. The past couple of years this event has been used as the first major shakedown for a some MX Nationals hopefuls, and 2014 looks set to continue that tradition, as Motorex KTM sends Kirk Gibbs and Ford Dale over. CDR Yamaha’s Billy Mackenzie will also make the trip over and camp under Josh Coppins ‘ Altherm JCR Yamaha tent for the weekend. Last year the now-retired Ben Townley dominated the event, and this year he’s again put his hat in the ring, but as a competitor in the iconic ‘river race’. This race starts using the normal motocross track, but then dives into the shingle-based river (complete with holes that can swallow your bike whole) next to the circuit for about 200 meters before joining back to the track. It’s a spectacular, unique and always entertaining event that sets Woodville apart. As for the Kiwis, the short money is on Townley’s teammate Cody Cooper to bring home the MX1 bacon, although he’ll face a significant challenge from the Australian contingent. In MX2, I’d expect JCR racer Scotty Columb to be strong enough to see off any serious challenges, and hopefully prove he’s worth a spot on an Australian race team for the MX Nationals in the process. I for one am keen to see how it all unfolds, as it could throw up our first real insight to how everyone is stacking up before the MX Nationals kicks off at Broadford in March. We’ll fill you in with the details early next week!